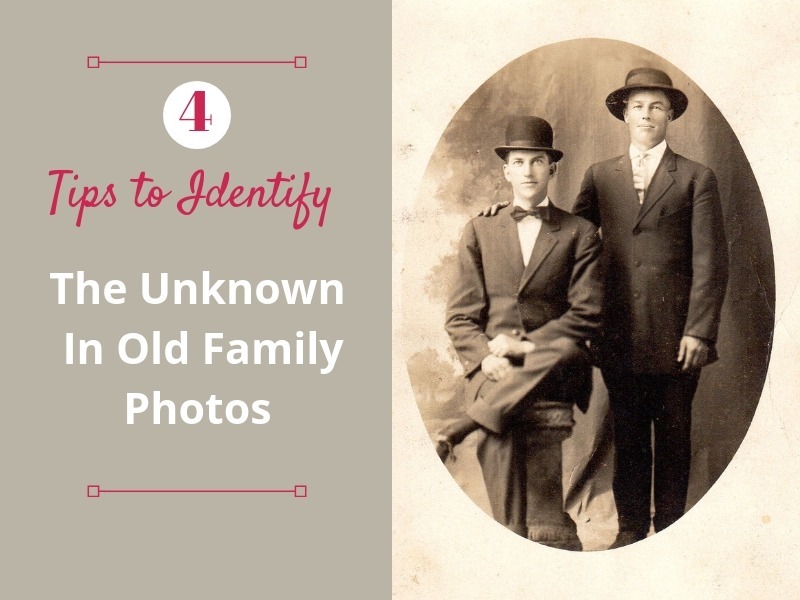 4 Tips to Identify The Unknown In Old Family Photos | Are You My Cousin? Genealogy research, old family photos and unknown individuals in those photos seem to go hand in hand! I do strongly suspect the men are from my Richardson family of Pittsylvania County, VA. There is a certain family “look” I have come to recognize in known Richardson family photos. However, there is the distinct possibility some of these men were just friends of the family. Just because the photos were in the Richardson box does not a guarantee all of these men were Richardsons. Don’t trust you ancestor or relative’s organizational skills! Do you have unknown photographs in your closet? Still wondering just who is in that family photograph? 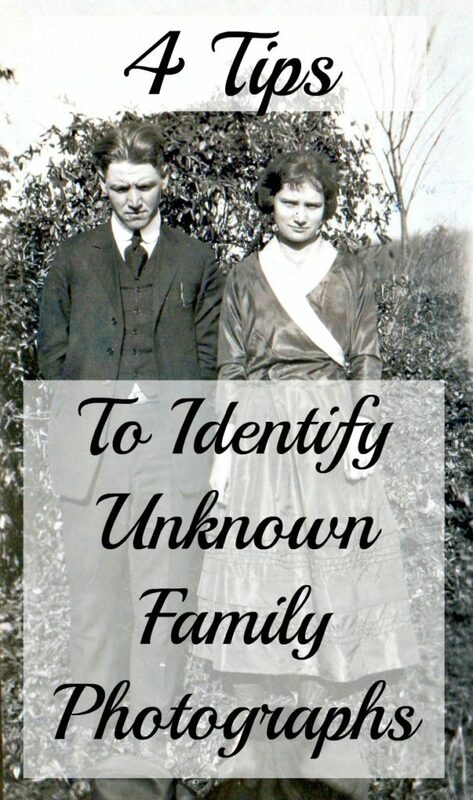 There are a number of ways to start identifying unidentified family photographs. The process is not quick, but can be very rewarding! 1. Ask your family members. I realize this is an obvious answer, but you would be surprised by the number of people who have not done this. Do not just ask your close family members. Seek out more distant relatives. Share your photograph(s) with them and ask them to forward the photograph(s) to other family members they know. Remember: The more eyes you have on your unidentified family photographs the better! The photograph below is a good example of this concept. This couple sat for years in my unknown collection. I was consulting a Richardson researcher about a different photograph when my break came. He glimpsed this photograph and identified the couple as his grandparents Matthew and Edna (Richardson) Yeaman. This Richardson researcher was from Alaska and is my third cousin twice removed. Remember: No relative is too far in distance or location on the family tree not to potentially have information on your photographs. The photograph below was emailed to multiple family members. Many were distant cousins only known to me through collateral genealogy research and my hope is one of them will be able to identify this gentleman or lead me to someone else who might. Just as you would network in the business world, network in the genealogy world. Share your unidentified photographs in pertinent Facebook groups such as family groups, genealogical societies, or pages dedicated to specific counties. Examples of Facebook groups for my Richardson photographs include Pittsylvania County Genealogy, Virginia Genealogy, North Carolina Genealogy, U.S South Genealogy Research Community, and Halifax County, VA Genealogy and History. Create a Pinterest board for your unknown photographs. In the description for each pin, include keywords such as location (i.e. Pittsylvania County, VA) or a possible surname (i.e. Richardson). Pinterest is used more and more as a search engine. By using the keywords of location and surname (if possible) you increase the chances of your pins and boards being seen. DeadFred.com and Ancestors Lost and Found are popular sites and are free. 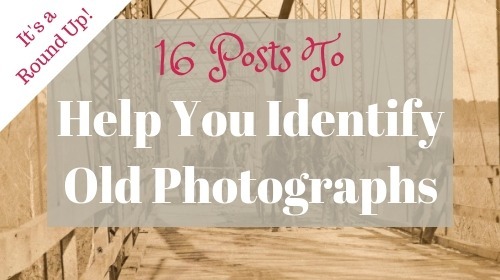 You can upload your own unidentified photographs for help in identifying or you can search what others have posted. Search by surname, location or by the photographer’s name. You just might find ancestors’ photographs you recognize. 4. Perform a Google Image Search. Upload your unidentified photograph into Google’s Image search and see if the photograph appears anywhere else on the web. Perhaps the photograph is identified on someone else’s genealogy website/blog. Someone else could be searching as well! Do you have an unknown photograph you are struggling to identify? Work through these 4 tips above. Share your findings in the comments below! Be sure to watch the FREE genealogy webinar Identify Your Ancestor in That Photograph (Case Studies) on the webinar page for more helpful information or take a look at my new e-book Identify Your Ancestor in That Photograph. My husband is a descendant of Wm. Richardson, b. ca l800 in North Carolina. No other early information known; he ended up in Parke County, Indiana. Wm.’s son Jasper was a long, tall guy. My husband, Jasper’s great-grandson, is 6-4. The men in your pictures appear to have the same body type. Your tips are good ones. I collect antique photos of children; it’s a rare find when there is any info written on the backs. We may find a single picture but then discover in a search that distant family members also have the same picture. Grandparents often received those kid photos, as well as aunts and uncles. Thank you for sharing this, Lisa. It’s very helpful. I wanted to let you know that I’ve included your post in my NoteWorthy Reads post for this week: http://jahcmft.blogspot.com/2015/08/noteworthy-reads-21.html. Thank you so much, Jo! I’m glad you found this helpful. I’d add one more tool: Picassa. I’d scanned most of the photographs that I have, and use Picassa to tag the faces that I knew. The facial recognition software was able to make suggestions for some of my unknown photos. One photo was labeled with my great-grandfather’s name, but there were four men in the photo, and we weren’t sure which one he was. The program picked him out for us based on other known photos. I know this isn’t foolproof, but may be a place to start. Picassa is a great addition to the list, Pam! I have used it in the past, but did not have great results with the facial recognition feature. Your success is very exciting! I need to try that again. When I a bunch of family photos I use a magnifying glass to check hairlines, eyebrows, noses, facial shapes and this works well if you have a known photo of a family member to use for comparison. Thanks for your tips. My local historical society has many unidentified photos. Kay, So glad you found the tips helpful! Best of luck identifying your historical society’s photos. Great post! I was also wondering about facial recognition. Facebook is pretty good about this, but as the folks in these photos are deceased they aren’t likely to have Facebook accounts! Anyway, I do think it is a useful tip and wonder if any other photo storage websites have this feature and if they do, how does their technology compare to that used by picassa? So glad you enjoyed the post. I’ve used some of the facial recognition in Picassa with so-so results. 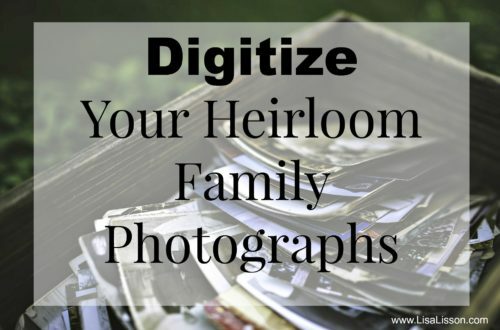 While it may not recognize a person’s photo, picassa does often get them in the right family. In other words, it may match them with a cousin or a sibling. For photos where I don’t know which family line they are from, it gives me a starting point. These are excellent suggestions. I have used some, but not others. Never thought about a Pinterest board for them. Thank you for this post. Thank you for these suggestions. Some I have used, but not all. I never thought about a Pinterest board for the unidentified pictures. Great idea. So glad you found the suggestions helpful! Thanks for the informative post. I found it on Pinterest. I have one idea to add. If you have draft cards or something similar, it will give you basic information on the physical appearance of your relatives. You may be able to use that information to pinpoint which person in the picture is them. That’s an excellent tip, Amber. Thank you for sharing it! Thanks for the tips. I was looking for a way to identify photographs, and came across your blog. Using a Pintrest or Facebook page may help me an my family. Thanks for the idea. I’m so glad you found the tips helpful, Jodie. Nancy, Absolutely! 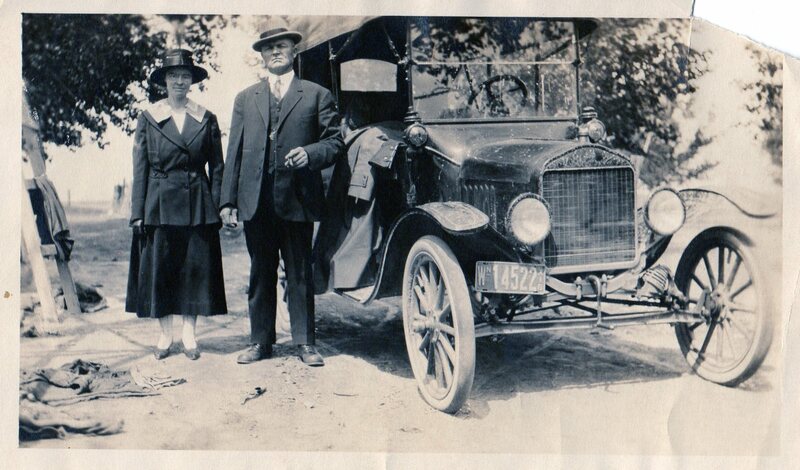 The fashions worn in a photograph will help identify the time period the photograph was taken. I have loads of photos of people. All taken in Europe. I am first and last generation as I did not have children. Both my parents were single children. BUT no living relatives. What is written on the backs of a few of the photos is all in other languages and not legible. In addition, I do not use ANY social media. What do I do ??? Ancestry.com was pointless as records were lost or destroyed in WWI and WWII. At this point I am thinking of giving away as I have no idea what to do with them. You do have a challenge! You may want to have the writing on the backs of the photos translated by someone who speaks the language. You can also attempt to place the people in the photographs in time by their their clothing styles. Their fashions may also help determine an ethnicity. You can also try posting them on DeadFred.com. But, your font color, at least on my android, makes for very difficult reading..
Sure hope you will be able to Chang it to a much darker color. Thanks, Raymond! I’m actually working on just that this next week! Link to Family Old Photos is not currently working. I have found some great ideas on your site. Thanks!! Thanks for letting me know about that broken link! I’ll get it fixed. Glad you found some helpful ideas. Dear Lisa This the first time I have seen your site and am interested. I am in Canada and am wondering if it will still be beneficial to me. Also, you have the same name as my cousin’s daughter, her married name Lisa Lisson. She is the CEO of Fedex Canada and has written a book about her life. Yours truly Kathy Hobbs. 48 years and it still amazes how much I can still learn. Thank you! I’m so glad find the site helpful!